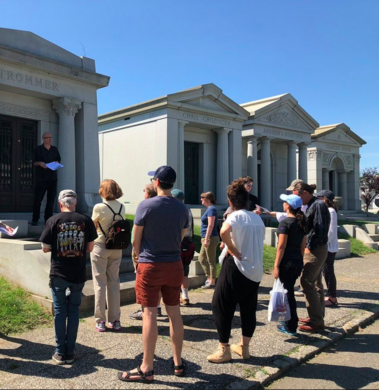 Take a stroll down "Brewers’ Row", where several notable beer barons are entombed in lavish mausoleums, as you learn about their lives and the history of local brewing on this special guided tour. Following our tour we'll be joined by Bridge and Tunnel Brewery Brewmaster Rich for a guided tasting of their locally made brews. 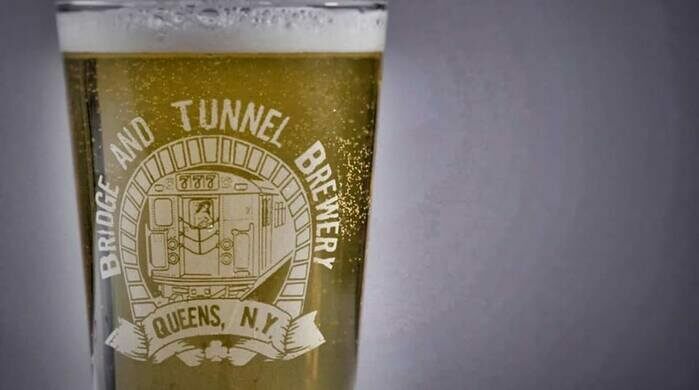 When Brooklyn was the center of American brewing in the 19th and early 20th centuries, Bushwick formed the heart of this thriving industry, with more breweries than any other part of Brooklyn. We'll learn more about this time, inspired by the fascinating "permanent residents" of The Evergreens Cemetery, led by James Henry, Atlas Obscura Field Agent and tour guide at The Evergreens. Along the way, we'll hear about a brewer whose elaborate Egyptian Revival mausoleum was inspired by the discovery of King Tut's tomb in 1922, and learn the tale of a successful brewer whose business survived prohibition, only to be destroyed by labor unrest. We will visit the grave of the owners of a "mom-and-pop" brewery whose famous nearby mansion is now a designated City Landmark, and speculate about the mysterious death of a brewer who may have been the victim of a serial arsonist. Following the tour, we'll gather on the grounds for a beer tasting provided by Bridge and Tunnel Brewery. As we sip samples, Brewmaster Rich will share the history of his brewery and the stories behind the brews, as we make a toast to the rich legacy of the beer barons of Bushwick. Please arrive on time, our tours begin promptly at the posted start time. 21+ only, please bring I.D. Complimentary beer provided by Bridge and Tunnel Brewery.